Waterford Fiber Cement Siding | Waterford Cement Siding | Waterford Cement Board Siding | Waterford Cement Lap Siding | Waterford Cement Panel SidingMcGlinch & Sons CO.
Did you know, re-siding with fiber cement siding is the smartest investment you can make in your house? Choosing cement siding from the industry leader McGlinch & Sons providing only James Hardie cement lap siding and cement panel siding is the right choice! Your home is exposed to Mother Nature all day, every day, year after year. Water, Snow, Ice, weather and even pests can lead to costly repairs. That is why you should call McGlinch & Sons today to see how a new fiber cement siding solution will add years of low maintenance beauty to your home. Our certified remodelers will install the highest quality cement board siding at an affordable investment. Since 1917, McGlinch & Sons is the one people call! Waterford Township is a great place to work, live and visit, considered a “Lakeland Paradise” with over 34 lakes to enjoy! The charter township located just 30 miles northwest of Detroit in Oakland County, Michigan has a population of 72,166 residents who seek to enhance the quality of life and environment. Nearby, McGlinch & Sons is the perfect solution for fiber cement siding and cement board siding for the residents of Waterford. We are committed to providing cement siding low maintenance products that allows you more time to enjoy leisure time activities. 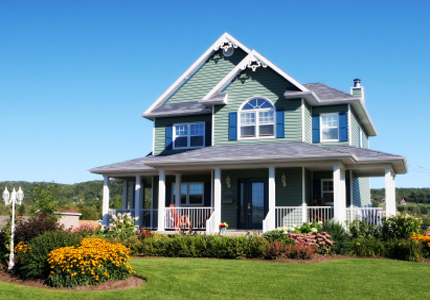 At McGlinch & Sons we know that you are busy, and our fiber cement siding takes the work out of homeownership. We have several styles and patterns, one to fit your specific décor need. Once installed, your beautiful cement lap siding will bring long-lasting value and durability to your home. Because cement board siding is five times thicker than traditional wood or vinyl siding, you will rest assured your home is protected from elements such as moisture causing rot, harmful UV rays, pests and even fire. This makes fiber cement siding the obvious and smartest choice in cement siding. Call McGlinch & Sons today for your free no obligation estimate and get started selecting your unique color and siding pattern. In Waterford Township, call (248) 987-6300.